As I wrote before, I am eight kinds of geek. Kind number 4 is space geek. I am an unabashed fanboy of the Apollo astronauts. Among my space geek collection I have Neil Armstrong’s autograph and a lunar module pencil sharpener. ’Nuff said. 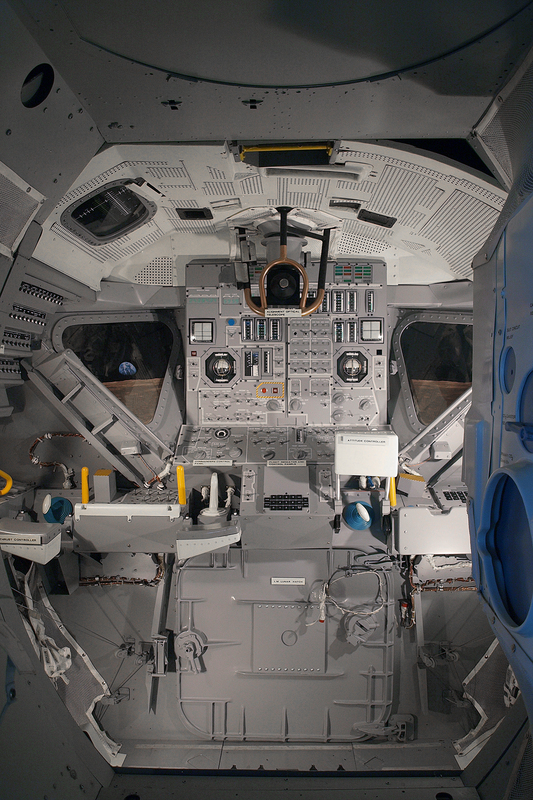 This week’s anniversary of the Apollo 11 mission has brought a ton of space goodies to share. So tear open a bag of freeze dried ice cream and read on. John Nack has a nice set of space links, including my favorite, We Choose the Moon, where you can follow along with the mission in real time. For those of us too young to remember or experience it for ourselves, this is as close as we’re going to get to the feeling of witnessing the moon landing. Spacefacts has a nice map of the roamings of Armstrong and Aldrin. Ninfinger has a huge collection of space models, as does Apollo Maniacs. You can even to try your hand at making a papercraft lunar module. BoingBoing has links to newly-restored video of the One Small Step. In fairness, not everyone saw Apollo 11 as mankind’s greatest moment. Witness, Gil Scott Heron’s Whitey On The Moon. OK, on to the publishing tech links. Adobe Genesis is an attempt at taming the tangled desktop via Flex. It allows users to create persistent personal portals (try saying that three times fast). It’s newer than new (you can’t get it even a beta yet), but as I understand it, the idea is to break applications and web services into tiles and assemble just the piece you need for your workflow in one window. Fill your plate from a workflow salad bar, if you will. Here’s a better explanation. Need to learn (or deal with) TeX or MathML in a browser? Check out the MathML browser test, where you can see examples of rendered math and click on them to get the code. Would you like to create a custom blog theme, without the coding chores? Check out Artisteer. Thanks to her geekness, Anne-Marie Concepcion for the tip. The 80’s pretentious-pop band the Fixx once asked “Are We Ourselves (And Do We Really Know)?” It’s a real question now as the importance of social media continues to rise. When anyone can grab any username, how do you KNOW who’s who? Protect your name/brand, and claim your name. You can check the availability of usernames/IDs on tons of social media sites at Knowem.com. You may also discover new social media sites you want to join. Thanks to PrepressPilgrim for the idea. Francesomugnai.com has the 30 Most Interesting Photoshop Tutorials of 2009 (so far). I leave you a trio of posts from InDesign Secrets (none of which is mine…I’ve been sitting in a tin can, far above the world). Fritz posted about the amazing folding calculator. If you need to set up InDesign templates for folded publications, you really should check it out. It’s also a very cool example of what you can do with an interactive PDF. David posted a fun 2-part series on A Trip to Adobe, in which we get to see InDesign in its native habitat of Seattle. Beware the Fremont Troll! Till next time, take your protein pills and put your helmet on.